Only Data Recovery Service in Reston You Needed! Grow a healthier enterprise by restoring your HDD, SSD or RAID data. Data Recovery Service in Reston Office! Endowed with suburban innocence and tranquility, Reston, Virginia welcomes visitors with its irresistible rich history and rural lifestyle. There are a lot of centers to cater to the typical eat, play, and relax agenda that is unlike the familiar thrill and rush. Lakes, bookstores and picnic areas where you can create fond moments to cherish forever. 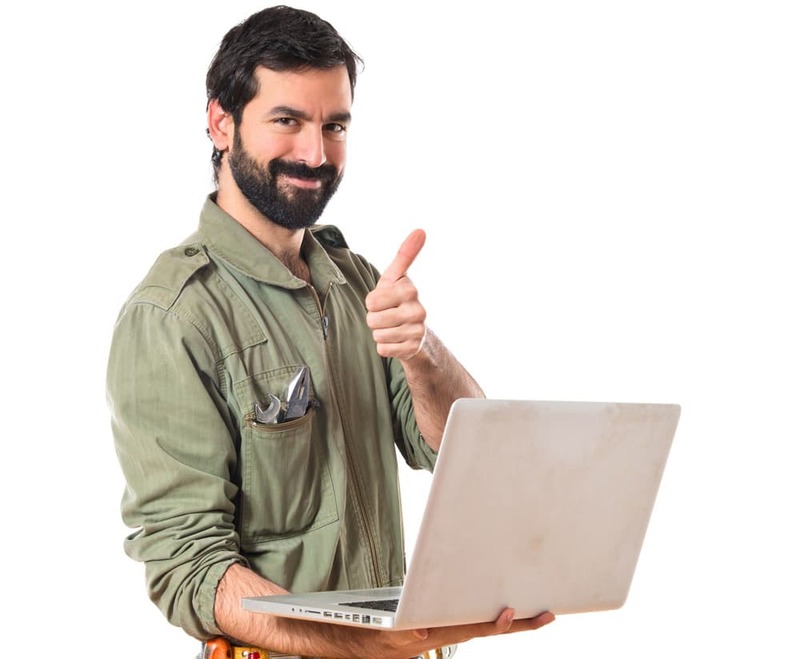 Find out more about our hard drive recovery service for homeowners in Reston! Strategically located in the middle of lifestyle centers and various activity areas, We brings the best data recovery service right at your state. In case of data loss, you can always contact us at our Reston, Virginia number or visit our local data recovery office at 11710 Plaza America Dr Suite 2000, Reston, VA 20190. The office is open from 8:30 in the morning to 5 in the afternoon. Moreover, you can opt to ship your media or have us drop by and pick-up you troubled media, the same day. Have an unusual recovery job in Reston? If your tech fails you and results in a case of data loss, you don’t have to panic. Our experts are happy to provide high-quality data recovery services for any storage platform you have. Wherever your location is, we are committed to providing you with the best data recovery service and the best customer service delivery we have to offer. At TTR Data Recovery, you only pay for the service when you confirm that all of the data lost has been retrieved. Assessment and Evaluation are free! 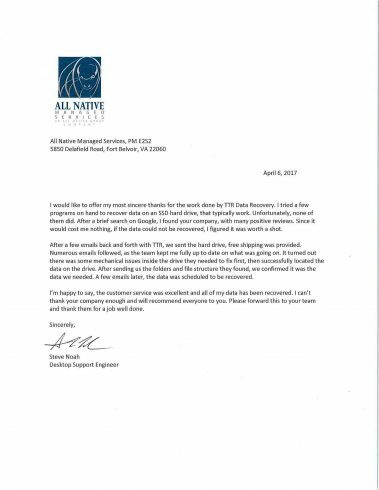 When you bring in your package for evaluation and consultation, you don’t have to worry about paying for the service upfront. We’ll first identify the concern and assess how our data technicians would address the data loss incident. Plus, you can choose how immediate you would want the data recovery process to complete. Since we aim to give you the best customer experience and data recovery service in Reston, Virginia, we wouldn’t want you to worry for additional charges and paying for the service upfront. Until our data technicians have assessed the storage platform and you have verified the data contained inside, that’s the only time you’ll pay for the service. Start With Our 3-Easy Step Procedure! No matter what media device you or your organization uses for data storage, we can retrieve lost data for you. Our data recovery technicians are equipped with the necessary knowledge and have undergone training to make our service excellent and responsive to the customers’ needs. EASY-STEP PROCEDURE Free Diagnostic - Send us your troubled media or drop by our office and we’ll be happy to do a free diagnostic. Expect to get the results via within 24-48 hours. You decide whether you want us to proceed with the recovery process or have us send your damaged media back to you, free of charge. Upon your approval, our highly trained experts will initiate the process in our ISO 5 Class 100 certified cleanroom. Whether you have time to wait for up to 15 business, or want it expedited in just 5 - 7 days, or even need it ASAP, we certainly can deliver. We let you confirm the retrieved data, up to the last byte, before we finalize and return them to you. Still not satisfied with the result? We will send you back your media; free of charge and no questions asked. After you confirmed that everything’s good to go, we will transfer your recovered data to a storage media of your choice. Our Credentials Set Our Service Standard in Reston! Numerous reputable institutions bestowed our brand of service with certifications that assure every clientele is provided with top-notch service for any media platform you have. Even if you want data recovery for your personal use, or for commercial purposes, we can get the job done anytime, anywhere. Contact us through our telephone number, visit our data recovery lab or submit a case report on this website, and we’ll be happy to assist you with your concerns. These perspectives make it easy to see why Reston can't get enough of TTR Data Recovery. Do you need hard drive or SSD data recovery service near Reston Town Center? We don't just make it simple to recover your files. We also make it possible to recover from losses that might hold you back. With IACRB Certified Data Recovery Technicians, free consultations and ISO-9000 compliant processes, you can depend on our technicians to restore your data. Why should you leave your RAID recovery services needs to our Reston team? We know that you're eager to get moving, but RAID and NAS recoveries are some of IT's most perilous endeavors. One wrong move could mean that you permanently lose everything. You can't afford to take such risks, and with our help, you never need to. We make recovery possible for anyone in Reston. TTR Data Recovery lets Reston business leaders and individuals retrieve the data that matters without paying exorbitant sums for the privilege. Do You Need Immediate Data Recovery in Reston? Is your Reston data recovery service willing to burn the candle at both ends? We are. No matter when you need emergency data recovery, you can take comfort in knowing that we’ll step up to the challenge with transparent, manufacturer-approved practices that reunite you with your information. Book a free consultation anytime to have us start your recovery. We Work Hard To Be The Best! The Reston Data Recovery specialists of TTR Data Recovery are proud to offer comprehensive recovery services to the Reston, Virginia area. 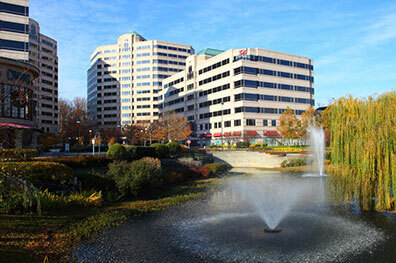 We are located in the heart of Reston, Virginia in the Plaza America Shopping center just blocks away from Reston Town Center.